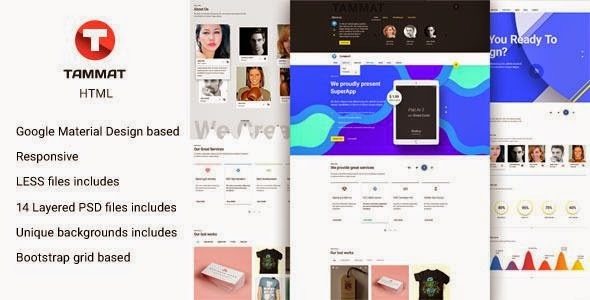 Tammat is an responsive HTML template suitable for agencies, personal websites, blogs, CV’s, etc. It has unique layout and features. It was built on Google Material Design principles. It fully responsive and retina ready. Item Reviewed: Tammat Responsive Material Design Multipurpose HTML Template 9 out of 10 based on 10 ratings. 9 user reviews.